Jarek120, Stuart Edge and Jessica Frech are known for their astounding illusions. But sometimes, just for fun, they opt to pull some not-quite-magic tricks and pranks on their friends and fellow YouTubers. 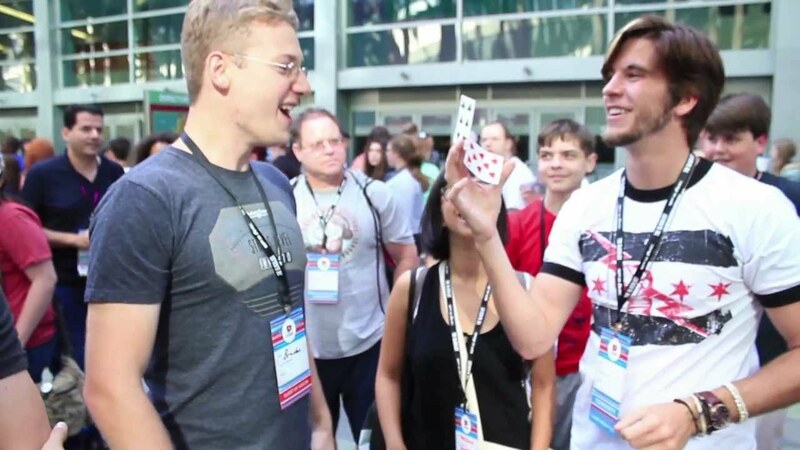 In this update, check out the “Smacking YouTubers” prank, in which a simple card trick turns into an excuse to punch people in the face. PLUS we’ve got some footage from the now-classing Phone Number Prank, a great way to break the ice and convince unsuspecting targets to make out with you in public! Posted On May 6, 2015 in Trending with 9 Comments.Tagged: Face, Jarek, Magic, Slaps, Trending, What's, YouTubers.